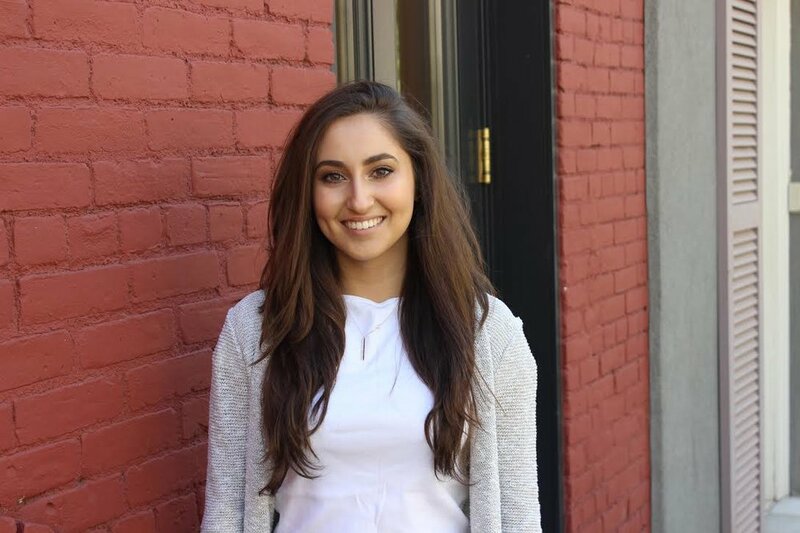 Anahit has a BA in Biochemistry from New York University, and is currently pursuing a Master's Degree and then a PhD in Biochemistry. Her love of science began in high school where she was an honors student, an AP Scholar, receiving both the President's Education Award as well as the Science Research Award and graduating with a 4.0 GPA. Her dream in life is to become a neurosurgeon. She spent the last year working at the Landau Lab at the NYU Langone Medical Center doing research in genetics. Having fallen in love with science in high school, she wants to inspire other young women in high school to see math and science as intuitive and fun. She enjoys mentoring, and has many years of experience helping both high school and pre-med college women succeed in chemistry, math and physics. Anna is pursuing a Biochemistry major with a dual-minor in Computer Science and Mathematics. She is the recipient of the Chemical Rubber Company Freshman Achievement Award. Currently, she is an advocate for Health Leads at Woodhull Hospital, where she helps connect families to such needed government and community resources such as SNAP, TANF, Head Start Programs, etc. At Health Leads she is combining her passion for the sciences and humanities by truly exploring the various facets to healthcare and what it takes for a patient to stay healthy. She is also part of the pre-medical fraternity, Phi Delta Epsilon and is a Presidential Honors Scholar at NYU. Carina received her doctorate at New York University under the guidance of Dr. Nadrian Seeman, a world renowned scientist in the field of DNA nano structed materials. She is currently a postdoctoral fellow at NYU and she is teaching chemistry at the university level, both at St. John’s University and NYU. Having a vast teaching experience at the university level, teaching both majors and non-majors chemistry. Carina delights at mentoring and tutoring young women. Her expertise is in helping high school and pre-med college women succeed in Chemistry. Cicely began her love of science at Harvard University under the advisement of Joanna Aizenberg, who is renowned for her work in Chemistry and Biomimetics. Cicely engineered a variety of bio-inspired materials including omniphobic textiles, flexible photonic crystal films, and oxygen sensing artificial melanosomes. Her research at Harvard culminated in two primary author publications and two patents. Currently, she is pursuing her PhD at NYU in Organic Chemistry with funding from the prestigious National Science Foundation Graduate Research Fellowship, which is supporting her current Phd work on the synthesis and directional self-assembly of colloidal particles. Her research work is complemented by her passion for engaging in programs that function to promote students’ interest in STEM at a young age. She volunteered regularly at the Boston Museum of Science to instill in young children a flair for invention and a yearning for deeper understanding of every day processes. She also delivered presentations about bio-inspired synthetic materials and provided hands-on activities to underprivileged students both at Harvard and recently at NYU. Cicely is the co-president of the NYU chapter of The Chemists’ industry professionals in chemistry. In her spare time she volunteers as an assistant coach for the NYU. Cicely is a vibrant academic, and advocate for higher education, and a driven individual focused on learning new skills and making an impact. Dhara, a native New Yorker, is a published author as well as an honors undergraduate. Her published paper can be read here. She is a senior on the pre-health track at NYU. Her love of science began in high school where she was the valedictorian of her class in Biology. She is a Chemistry major with a minor in Child & Adolescent Mental Health Studies. As a CAS Presidential Honors Scholar, she is in the process of completing the honors track within the Chemistry major. In addition to her studies, she works for the Suzuki Lab at NYU, which explores the effects of exercise on the brain. She is also the Activities Chair of the NYU Red Cross Club. While science is her passion, she has enjoyed coordinating Red Cross volunteer events within the NYU and NYC community. During her free time, she is staying outdoors and exploring the best city in the world – New York, New York! Olina is studying Mathematics and Computer Science at New York University. She has worked as a math tutor in the past and is currently working for the Department of Mathematics at NYU. She is also part of the WYSE mentorship program, which aims to create lasting relationships and provide a safe, positive space for learning and empowerment for young women. She loves technology and internet culture and her dream in life is to be one of the best web developers in Silicon Valley! Pamela is an international student at New York University, who is born in Lagos, Nigeria. Having studied in the elite boarding schools in the U.K., she understands he rigor of every competitive high schools and that is why she is passionate about mentoring and helping other high school women, as she intimately understands their environment. She is studying Chemistry, with a minor in Business Studies. Pamela has always had a strong passion for science and was a part of an outreach program in her high school in London to teach children in India subjects in Math, English and Sports. In her first year of university, Pamela was involved in the American Chemical Society and became an active student volunteer. In her second year, she volunteered at the New York Dance Marathon, an event that raising money and awareness for childhood cancer and is now on the Executive Board for the club. Pamela enjoys exploring NY food scene, going to the gym, and reading.